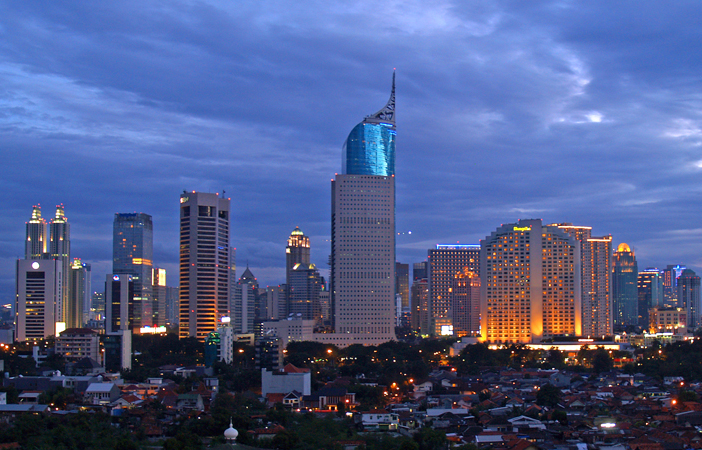 Jakarta regions economic growth showed a 6.48 percent increase in the fourth quarter of 2015 compared to 6.12 percent recorded in the same period in 2014, a Central Banks (BIs) representative stated here on Tuesday. BIs representative for Jakarta Region Head Doni P. Joewono noted that Jakartas continued increase in economic growth since the third quarter of 2015 showed that the Indonesian capitals economy began to show signs of improvement after weakening earlier in the year. The indication was also backed by the States Statistical Agencys (BPS) data of the regional gross domestic product (GDP) on February 5, 2016, that revealed an increase in Jakartas economic growth. The thrust during the last two quarters was able to boost economic growth in Jakarta and resulted in a 5.88 percent growth in 2015. This improvement is a testament to the fact that Jakartas economy is capable of stable growth amid the gloomy national economy that weakened from 5.02 percent to 4.79 percent in 2015. Budget realization, both from the central government and the Jakarta Provincial Government, primarily drove the 2015 fourth-quarter growth. Besides this, growth was also encouraged by the high boost in production in the industry, transportation, communication, and financial service sectors. An increase in the city budgets expenditures also had a significant impact on the rise in absorption by the Jakarta administration. Meanwhile, demand has not been empowered by household consumption, and the private sector investment is still weak. The global demand for export goods also experienced a decline following the weakening world economy. The positive trend in economic growth is expected to continue in 2016 based on the conditions, while the realization of maintained economic growth rates and macroeconomic stability will create positive expectations to encourage the growth in private investment. Moreover, the lowering of the interest rate, the implementation of the governments economic policy packages, and fiscal stimulus for improving the citys infrastructure also supported the development. Household consumption, as the driver of economic development, is expected to rise in line with the surge in consumer optimism, as reflected in the increase in the Consumer Tendency Index (BPS) and the Consumer Expectation Index (BI). BIs Jakarta Representative Office will continue to monitor the regional, national, and external developments while strengthening coordination with the citys provincial government to continue to drive the economic growth.